Yeah I really wasn’t feeling for a wash day, but it had to be done. So I decided to keep my wash day short and simple. I really had a hard time to choose a product for my wash. And then I remembered that I bought a new shampoo product in October, Organix Revitalizing Pomegranate Green Tea Shampoo. This is my third Organix shampoo that I’m trying out and I don’t think that the shampoos are a good fit for me. While washing my hair I wasn’t able to run my finger through my hair. Sometimes I like to finger detangle my hair, but no ma’am my hair was stiff. 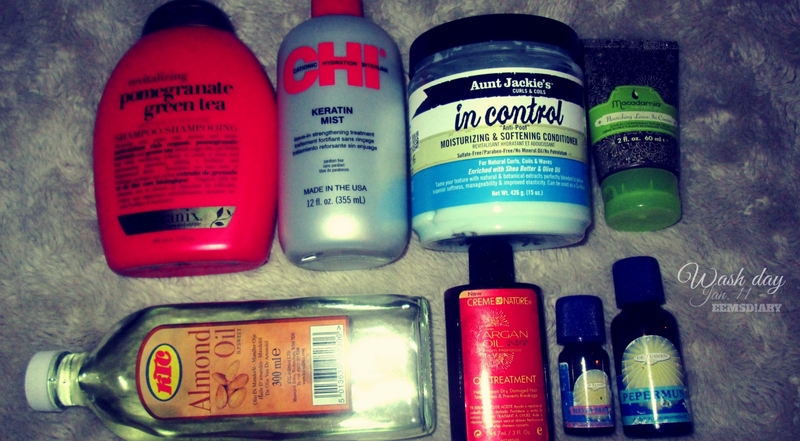 The last couple week I have been concentrating with getting rid of my split ends. In my recent post I mentioned that I need to take a break with using a flat iron on my hair. I’m really suffering from long split ends. My goals for this year is to reach BSL (Bra Strap Length), but first my main focus is retaining my length. At this moment I’m 17 weeks post. I planned to texlaxed my hair at 20 weeks post. 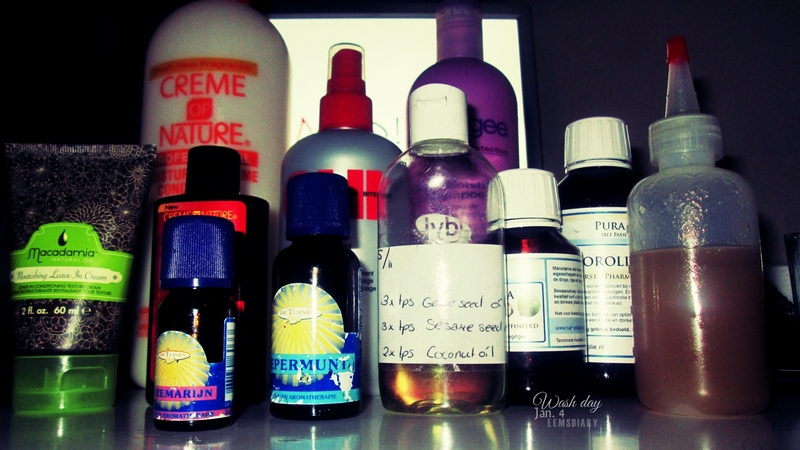 More and more and loving doing a pre poo treatment with oils. In sections of four I applied an oil mix (Grape seed x Sesame seed x Coconut oil) to the length of my hair, concentration on my ends. 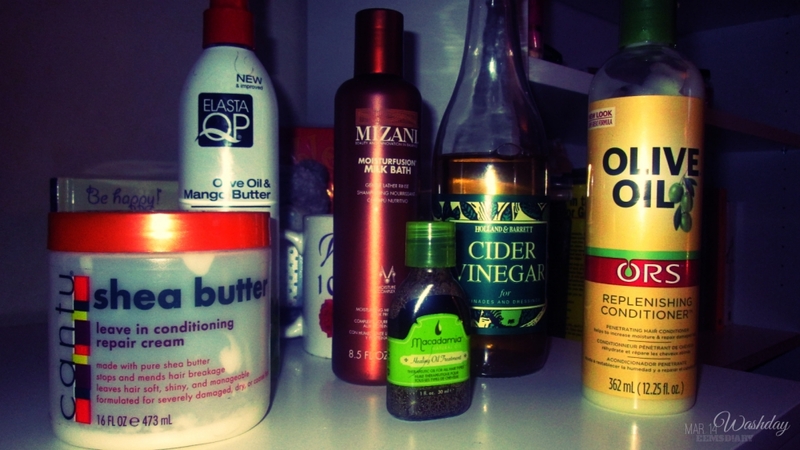 For my scalp I used a different oil mix (Jamaican Black Castor x Coconut oil). I let the oils sit on my hair for about an hour. This week I was free from work. So I decided to wash my hair on a Wednesday. I have been slacking again sleeping without a scarf during the week. I need to buy a satin pillow case to protect my hair. It was all about heat this washing routine. I’m planning to use heat (a hooded dryer or a steamer) regularly because of the cold weather. My hair had a good week. 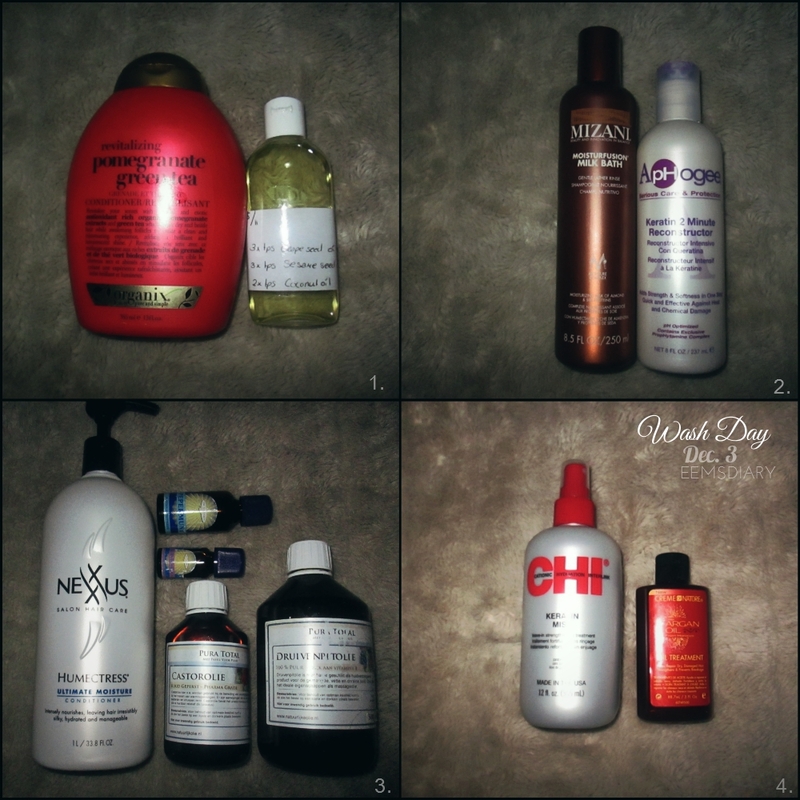 Almost every morning I moisturized with ORS HAIRepair Intense Moisture Crème. Why in the morning. Well I was lazy to moisturize my hair in the evening. So I’m finally home from my trip and it was time to wash my hair. 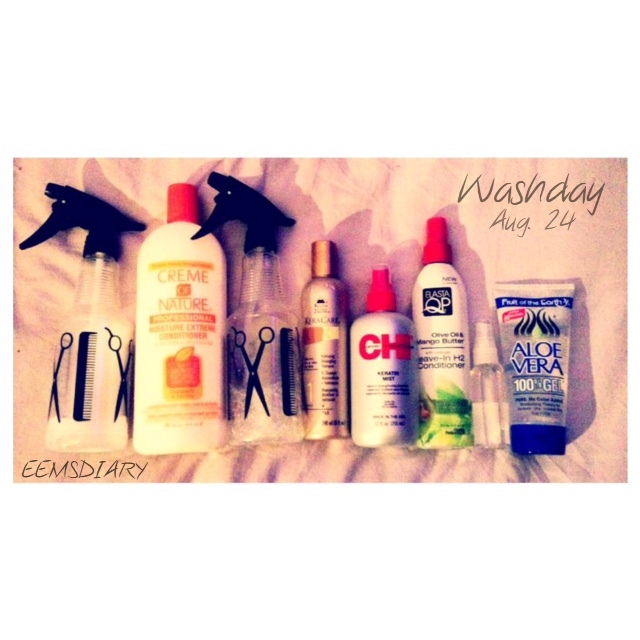 Because of my braids I had to find a different way to do my wash routine. To make it easy I used a spraying bottle. I started with conditioning my hair. I mixed Cream of Nature Professional Moisture Extreme Conditioner with castor , rosemary oil and glycerine. I dilute the mixture with a little bit of water. I applied the mixture on the beginning of the braids. 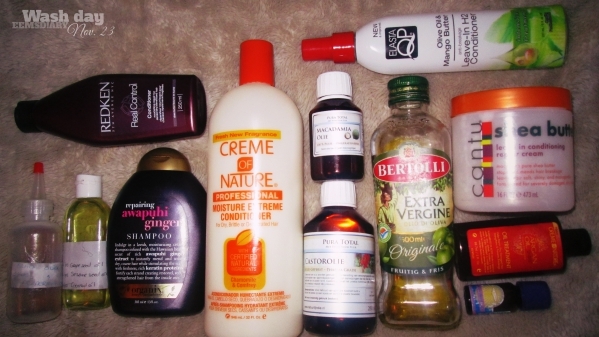 I deep condition my hair for about 1 ½ hours without heat.